1x Closed Coupled Toilet complimented by a soft close seat. 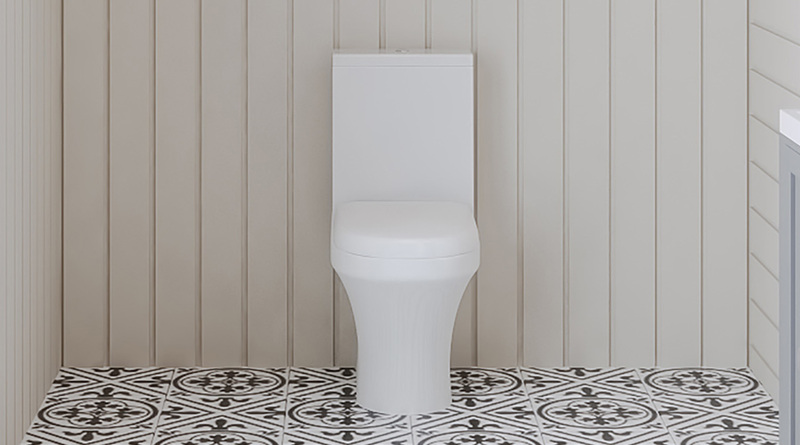 The toilet is designed to be easy to clean with a style that fits gracefully to the floor line. 1x Slimline Vanity wooden unit (cabinet) with shaker style doors, tongue and groove sides effect – finished in a complimentary matt grey colour with traditional exposed hinges and magnetic catches. A shelf allows the practical use for the unit to be maximised. Handles are antique chrome finished knobs. 1x Slimline Basin Nesting on the top of the unit is Slimline basin with a right-sided mono mixer tap allowing infinitely variable temperature control. A click-clack waste. 1x Chrome Wall Mounted Towel Rail with a height of 700mm and a width of 500mm. 1x set of Radiator Valves. 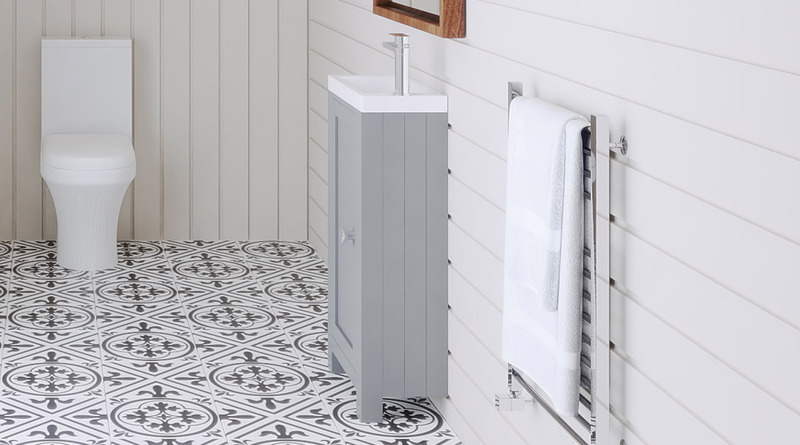 Narrow floor standing vanity unit and basin, mono basin mixer and click clack waste.